I had CNN on for about 30 seconds tonight. That was about 30 seconds too long. But seriously, I'm glad it happened. It was on just long enough for me to hear one of their pundits say that even if Democratic candidate, Jon Ossoff wins the special election in Georgia's 6th Congressional District, it will be followed by infighting among Democrats over which aspect(s) of their candidate's message were most effective. I laughed out loud as I turned off the TV. That was one smart pundit! Of course, there was nothing funny about this analysis. In fact, it is seriously depressing. It speaks volumes about the state of the Democratic Party at the moment, a state in which the party seems to be stuck ever since the last presidential election. I do not necessarily think that the 2016 Democratic primary created major rifts in the party that weren't there previously, but I would agree that it deepened some of the existing rifts and brought others to the surface. I'd also agree that it left many of us on the political left feeling increasingly frustrated with the party and its leadership. But what I find even more frustrating than that is how little the party leaders seem to have learned that could be helpful moving forward. Political success, especially when it comes to presidential elections, seems to require effective coalitions and motivated voters. When I look at today's Democratic Party, I see little evidence of either. The coalition looks more fragile than ever, ready to descend into destructive infighting at the drop of a hat. Not surprisingly, this fuels voter apathy, something that is already a serious problem on the left (especially among atheists). 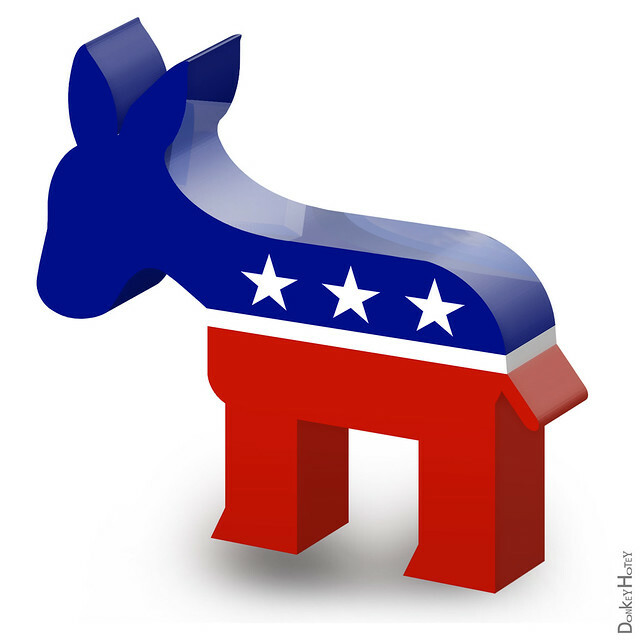 The upcoming mid-term elections are going to be an important test for the Democratic Party. To have any chance at minimizing the destructive impact of President Trump's policies, they need to make major gains in the House and Senate. This will require being able to hold their fragile coalition together and improve voter interest and ultimately turnout. Success here would be a very positive sign for what could be possible in the next presidential election. Failure would be seriously demoralizing. It seems to me that if we on the left cannot learn how to get along with one another - and that is probably going to require us to move past our identity politics and our need to publicly shame anyone who disagrees with us - we have little hope of political viability. As unhappy as I am with a two-party system, I sure don't want to see us end up with a two-party system where only one of the parties wins elections. Update: Not surprisingly, Ossoff lost the election. We'll probably see even more infighting now, as it has become clear that the Democrats have not learned how to win Congressional elections in predominately Republican districts.